Happy Easter from the UVK company! 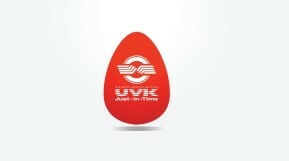 UVK Company congratulates you with Happy Easter! Wish you happiness, love, God’s grace, sincere faith! Our world is amazing! There is a lot of good and beautiful in it. The main thing is to remember that the power to do good things and the power to create the beautiful is embedded in our hearts. And the world has it’s significance and value, only while in it remains the good, which today is perceived by many as a real miracle. The holiday of Jesus Christ’s resurrection gives us hope and faith in the future. This is the time of rebirth. It is the victory of light, life, love and good over everything that is opposed to these life-affirming principles. This is the light that shows us the way in darkness. We wish you love, emotional warmth and peace in your soul!